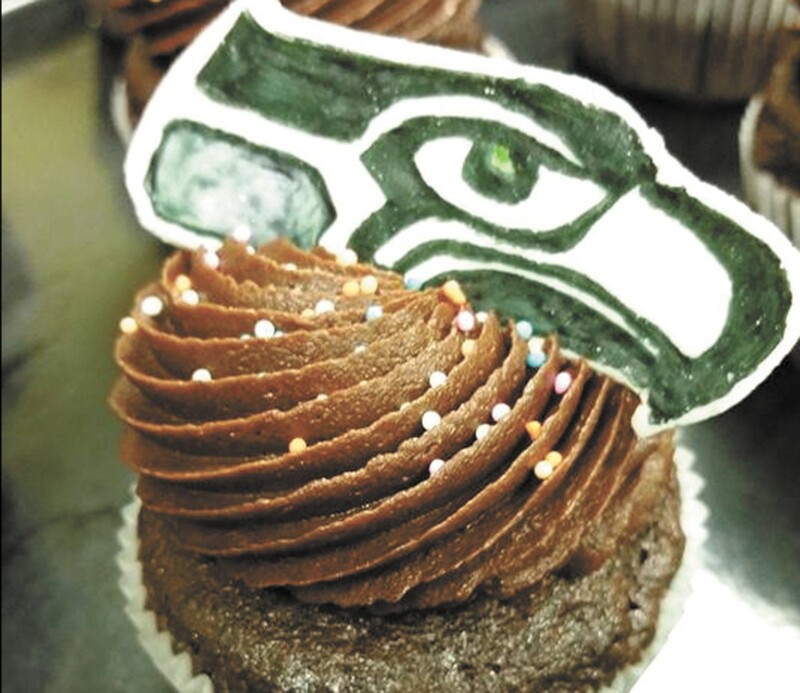 Sweet Mutiny adds a little 12th Man flair to a recent batch of cupcakes. The trick was to make things slightly whimsical for kids, but not so much that the college crowd who flocks in for sugary study breaks would find it childish. So when Sweet Mutiny — a frozen yogurt and cupcake shop — opened in Pullman nearly three years ago, the owners settled on an eye-patched cupcake wearing a pirate hat to plaster on the wall and a colorful pirate ship built in surrounding the froyo handles. "We wanted to give the community another outlet for something fun to do with the kids," says Jim Harbour, a professor in the college of business at nearby Washington State University, co-owner of South Fork Public House and owner of Porch Light Pizza in Pullman. Harbour opened Sweet Mutiny in Crimson Village with his wife, Jenny, along with Cindy and Chud Wendle, the district director for Congresswoman Cathy McMorris Rodgers' local office. In typical self-serve froyo shop fashion, eight frozen yogurt ($0.43 per ounce) flavors line the wall, ranging from Cable Car chocolate to peach mango tart. For toppings, a wide assortment of candy pieces, fruits and syrups stretch down the counter. When Harbour and his co-owners decided to open a froyo shop, they wanted to differentiate themselves from other froyo places. Instead of the plastic seating options typical of froyo shops, they created a more cozy area, with couches and benches surrounding a central fireplace. Then they added gourmet cupcakes and cake pops to the menu. The cupcakes ($2.75) made daily in-house from scratch, come in more than 50 different flavors. The constant, red velvet, gets about five other flavors rotated around it each day, including Lemon Scurvy, tiramisu and gluten-free coconut pineapple. The cake pops ($1.50) come in similar flavors, and cupcakes, pops and custom cakes can all be special ordered for birthdays, weddings and other occasions.